2018 has been a great year, full of interesting challenges, continuing with the regular Community tai ji classes, in Camden, Hendon and Notting Hill, which also included an invitation to give a talk and demonstration, of the benefits of tai chi practice on health and well being for the Kensington & Chelsea Forum in Notting Hill. In September I started a new weekly class teaching at the Parkinson’s specialist centre at the Edgware Community Hospital in Burnt Oak. Later in October Tai Ji Circle organised a special trip to China. We left for China with Master Liu to celebrate the groundbreaking ceremony, on 1 October, of the new Chen Xiaowang Taijiquan Art Museum, to be built in Chenjiagou (Chen village), the Chinese home heartland for Chen Tai Ji. There were all sorts of ceremonials, speeches, incredible demonstrations by the disciples and breathtaking performances by several generations of the Chen masters themselves. I was invited to perform with some of the other international disciples and it was amazing and nerve-wracking to be onstage in front of hundreds of tai ji disciples and masters! Another highlight, was posture correction from Master Chen during his Chen Taijiquan 5 day seminars. Correct postural alignment during practice is key and Master Chen’s adjustments and delicate and sensitive corrections are superb. It was wonderful to meet so many different Chen taiji practitioners from all over the world, and to practice together under the tuition of Grand Master Chen himself is a rare privilege. Master Liu Quanjun with Chris and Tai Ji Circle trustees in front of the famous gateway of the Chenjiagou School. Following the Saracens tai chi day I was asked to teach a session at the Finchley Memorial Hospital Community day the following Sunday. It was a privilege to be invited, and even though Dr Debbie Frost, chair of the Barnet Clinical Commissioning Group, was wearing and dress and heels, she also happily joined in the session. One year On Tai Chi at Saracens! On a September morning in 2016 my colleague Lai from Tai Ji Circle and I, leading from the stage, taught another mass tai chi session at the Saracens Rugby Club. The Mayor of Barnet joined in despite wearing his chain of office and we had a great time and good feedback. It was organised by Age UK Barnet and Saracens and afterwards we went back to the club house to relax and encourage people to come along to my Thursday class at the Meritage Centre in Hendon. Chris and Lai meeting the Mayor and Mayoress of Barnet, David Longstaff and Gillian Griffiths. One hundred people came and joined in a mass tai chi practice organised by Age UK and Saracen’s. I led the practice with help from Lai of Tai Ji Circle, it was a beautiful sunny morning and a lovely to practice with so many, sharing the relaxation and flow of body, breathe and mind. Tai Chi is recognised to help improve some chronic health conditions, as reported in the Harvard Health Publications from the Harvard Medical School. The slow moving, and low impact natural movements increase coordination and strength, as well as relaxing mind and body, the slow relaxed and even breathing is calming. it has also been shown to help people with osteoarthritis, rheumatoid arthritis, fibromyalgia, tension headache, and other ongoing, painful conditions. The Dao, calligraphy by Master William Wu, with grateful thanks. The Chinese character above, for Dao (in Pinyin, Mandarin Chinese) or Tao (in Cantonese) has an elusive meaning which is difficult for us to grasp, but is deeply entrenched in many aspects of Chinese culture. The serpentine ‘squiggle’ on the left indicates a ‘path’ or ‘way’ (which, just like our lives, is not straight and direct), the second part of the character, on the right, means the ‘mind’. The Dao signifies the primordial essence or fundamental nature of the universe. 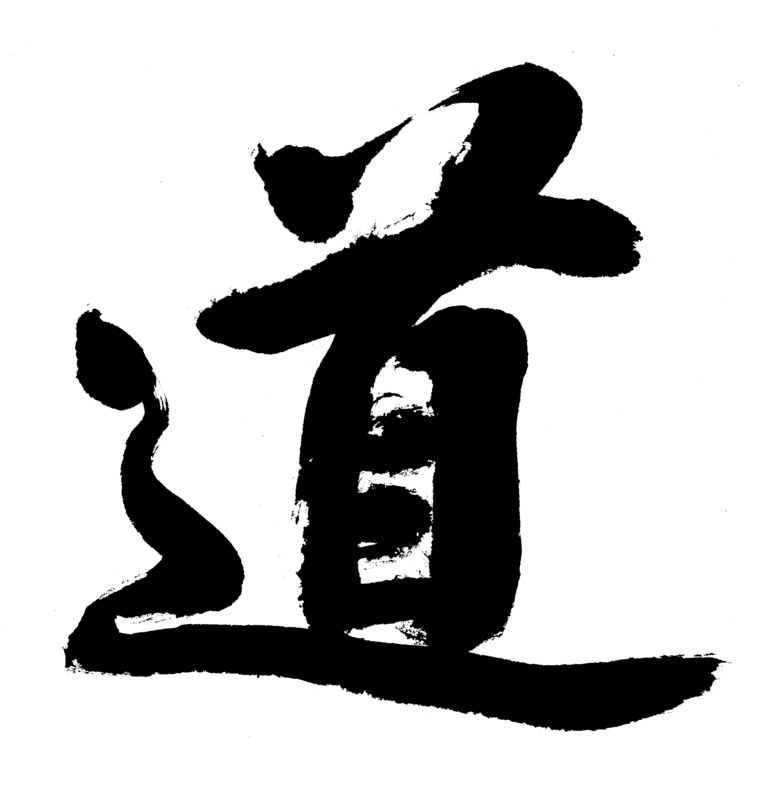 In the foundational text of Daoism, the “Dao De Jing” (Tao Te Ching), Laozi explains that Dao is not a ‘name’ for a ‘thing’ but the underlying natural order of the universe whose ultimate essence is difficult to circumscribe due to it being non conceptual yet evident in ones being of aliveness. 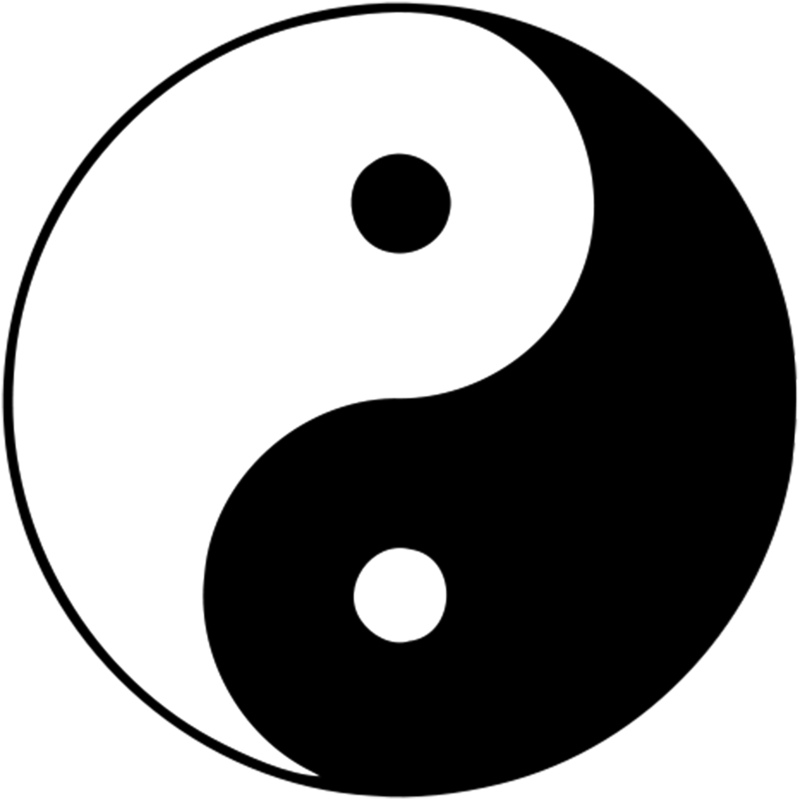 Dao is intrinsically related to the concepts yin and yang (pinyin: yīnyáng), where every action creates counter-actions as unavoidable movements within manifestations of the Dao, and proper practice variously involves accepting, conforming to, or working with these natural developments. In Daoism, Chinese Buddhism and Confucianism, the object of spiritual practice is to ‘become one with the Dao’ (Dao De Jing) or to harmonise one’s will with Nature in order to achieve ‘effortless action’ (Wu wei). This involves meditative and moral practices. Important in this respect is the Daoist concept of De or virtue.